Along with the right power and grip, the Husky 7-Piece Plumbers Tool Set provides some much needed finesse with the 10 in. Soft Jaw Slip Joint Pliers. There are times when you are needing to grip copper lines, brass fittings, or faucet handles that you don’t want to damage or leave marks on. The 10 in. Soft Jaw Slip Joint Pliers have clearly labeled and easily removed rubber covers that allow you to grip without marking. 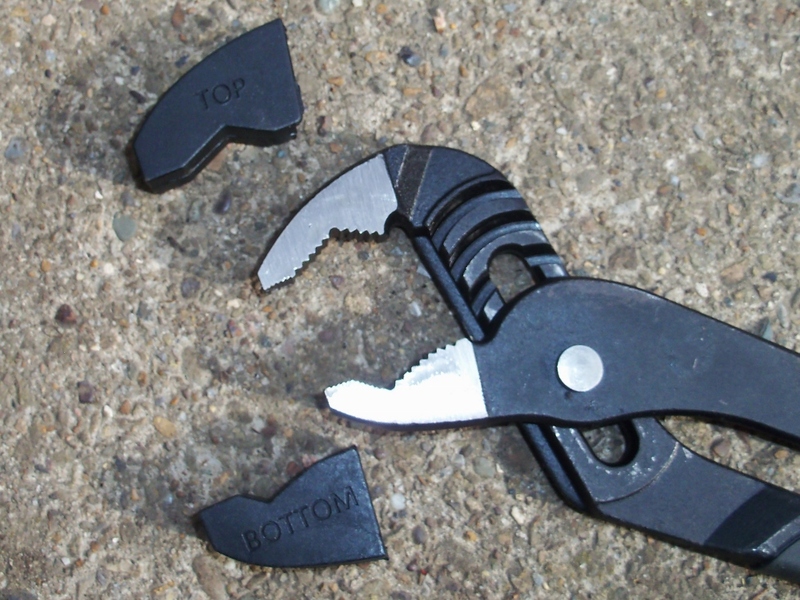 Removable rubber tips increases the utility of these slip joint pliers. They help keep things clean and professional. These open up wide enough to grip most sink basin nuts. A versatile set of pliers. The Husky Soft Cap Gel Knee Pads are the ergonomic equivalent of the soft jaw rubber covers. 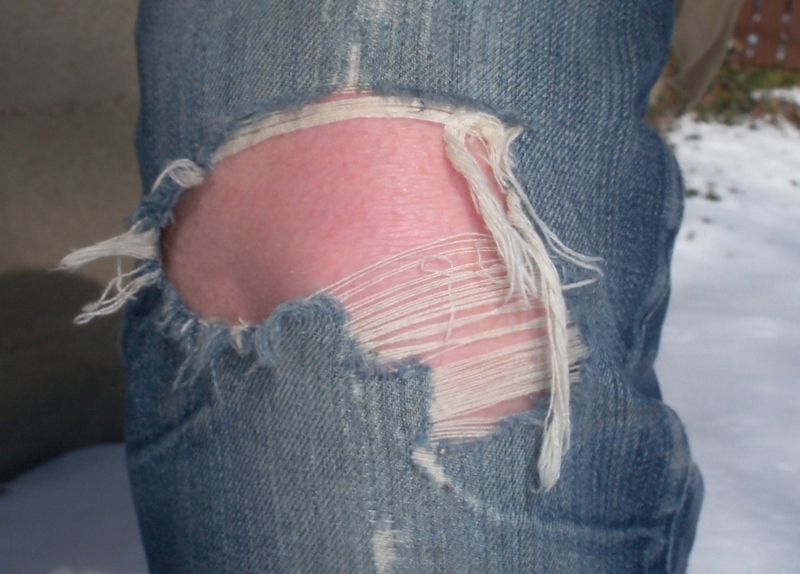 I have used many different types of knee pads in the past and, as my jeans can testify, I didn’t think too highly of any of them. The rubber straps would bind and pinch the back of my legs. The holes in the straps would be too loose or cut off the circulation to my feet. 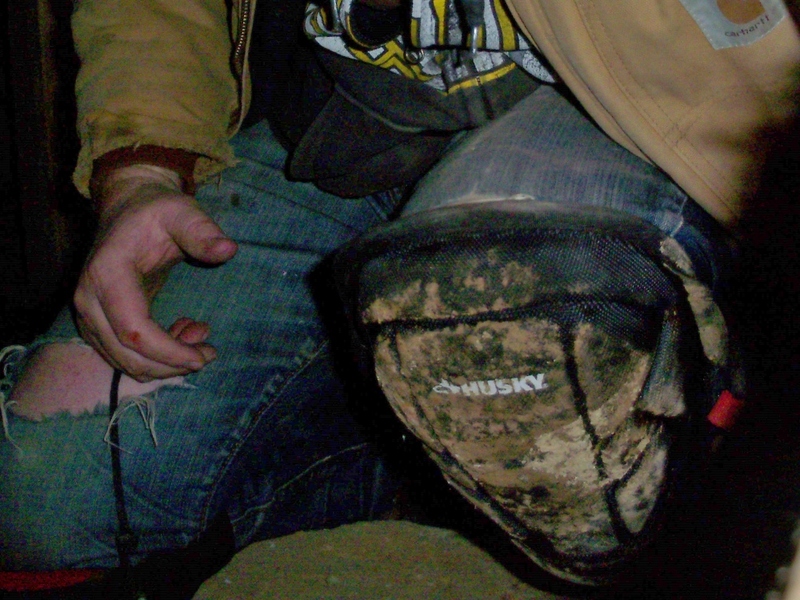 Some were nearly as hard as the cement that I was crawling around on, so what did it matter if I had them on or not? These are breathable, adjustable, and comfortable to wear for a full shift of plumbing and crawling. Hipsters reportedly pay hundreds to have jeans like mine. 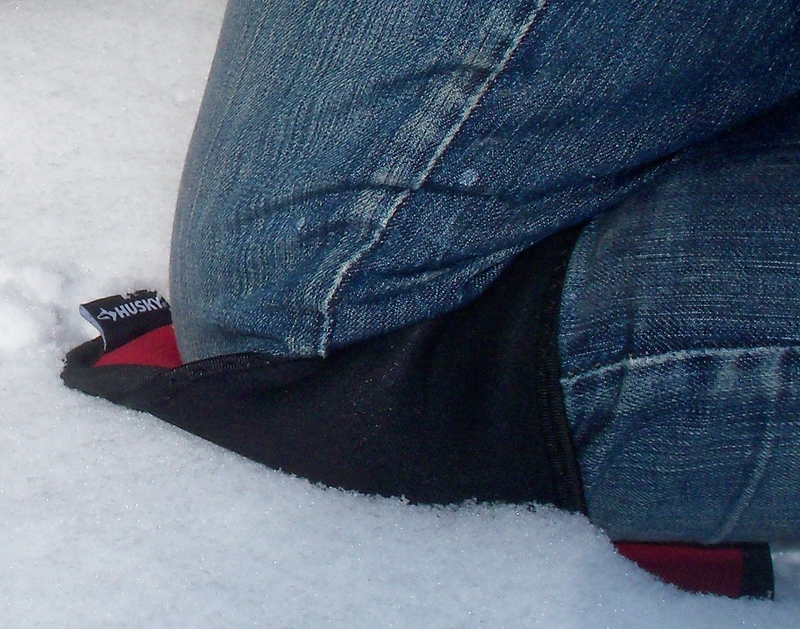 With the Husky Soft Cap Gel Knee Pads – my jeans will last a lot longer. The Husky Soft Cap Gel Knee Pads are one size fits all and allowed my legs to move freely and comfortably. In fact, they were so comfortable that I forgot that I was wearing them. I walked in the house and our 9 year old son told me that I looked like those police with all of the equipment on. He thought I looked really cool, but he will eventually learn how uncool I am. I was impressed with how comfortable the Husky Soft Cap Gel Knee Pads were to wear all day long. 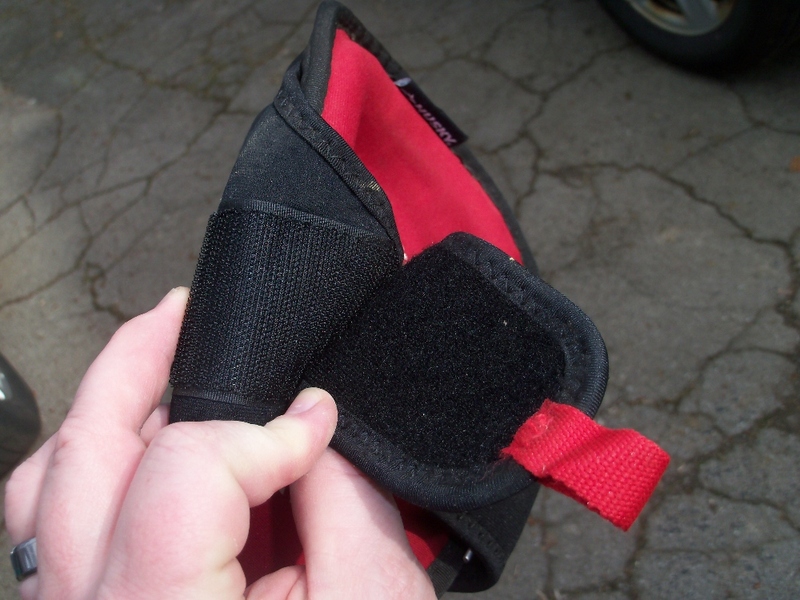 A wide and long stretch of Velcro allows one size to fit all. Light and strong, these served me well. The Husky 7-Piece Plumbers Tool Set is a compact set for a wide variety of plumbing projects. It travels well in your truck, under crawl spaces, or to a third floor bathroom sink. The Husky 11 in. 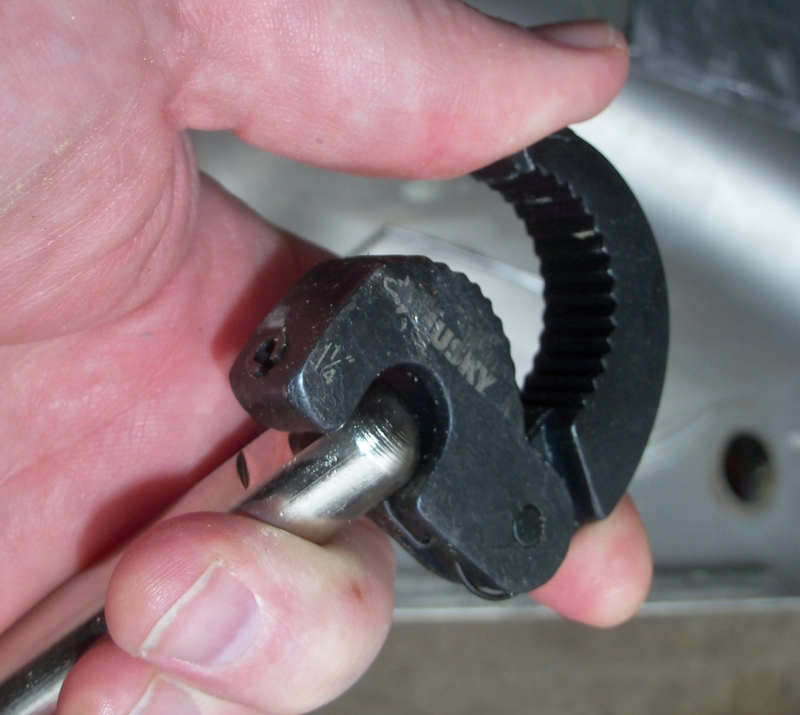 Basin Wrench is an example of the right tool for a tight job. 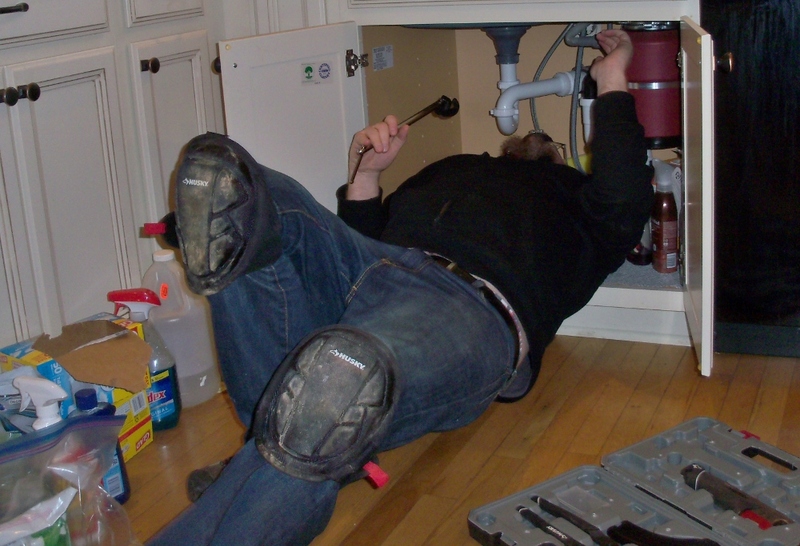 If you have the luxury of assembling the sink faucet and drain in an open space, by all means do. 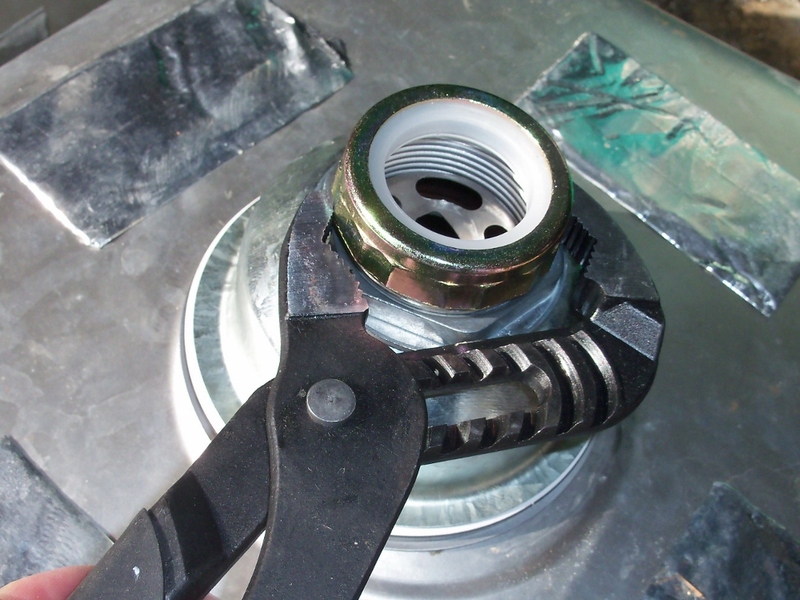 Use an adjustable wrench, slip joint pliers or whatever you need to install or remove parts. But if you are changing out a faucet in a sink that you really don’t want to remove, then you are going to need to use the included 11 in. basin wrench. 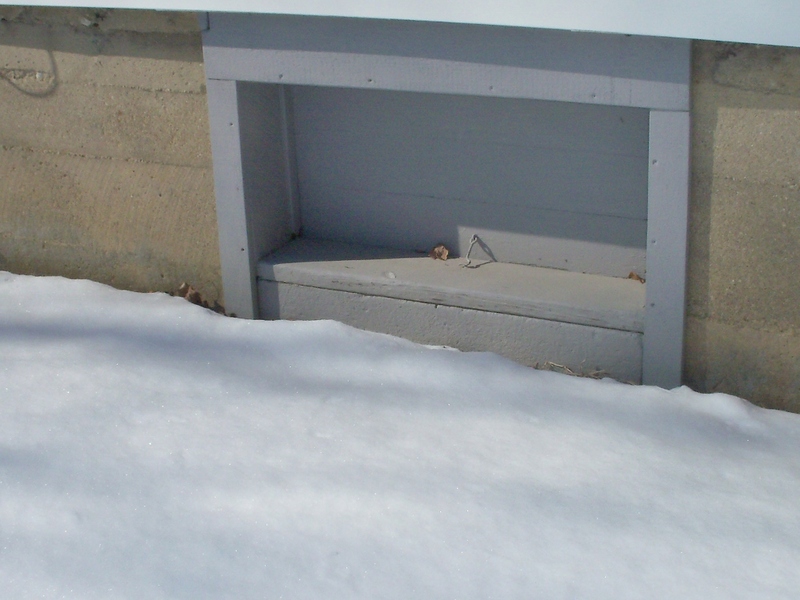 Older base cabinets have the piece of wood separating the two sides that jams into your ribs. This one is still crowded with pipes, cleaners and me. This is the life-saver when you are reaching up behind a sink in a cramped space. The head swivels and the handle slides back and forth for partial turns. Way up there, beyond the trap, water supplies valves, supply lines, drain linkage. . .those are the two nuts you need to remove to change the sink. No problem. Lefty loosy, Righty tighty is one of our nuts and bolts basics. 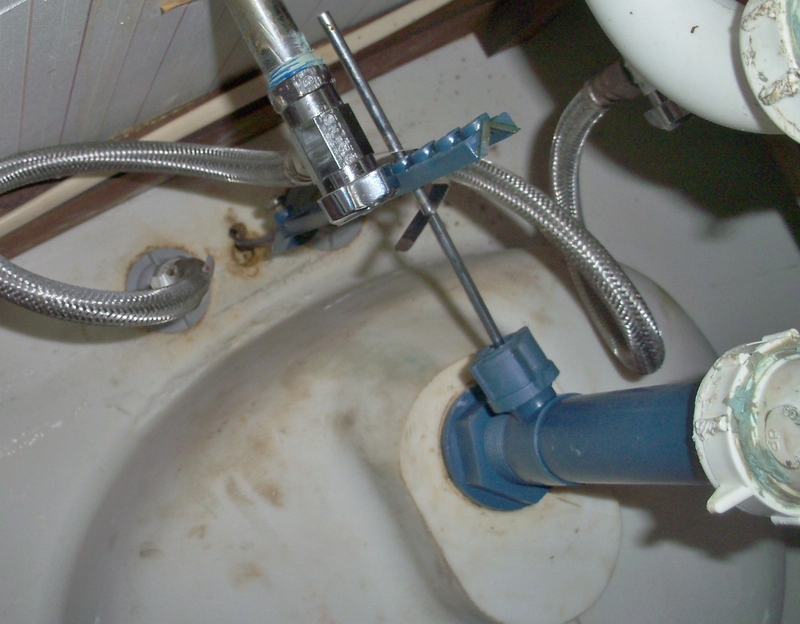 When you are on your back, under a sink, in a dark space, with pipes in your face and strange pieces of debris falling on your face (use eye protection). . .well then, making sure you have the reversible basin wrench in the correct position may be more of a task. Both the head and the handle are adjustable to assist with making partial turns. 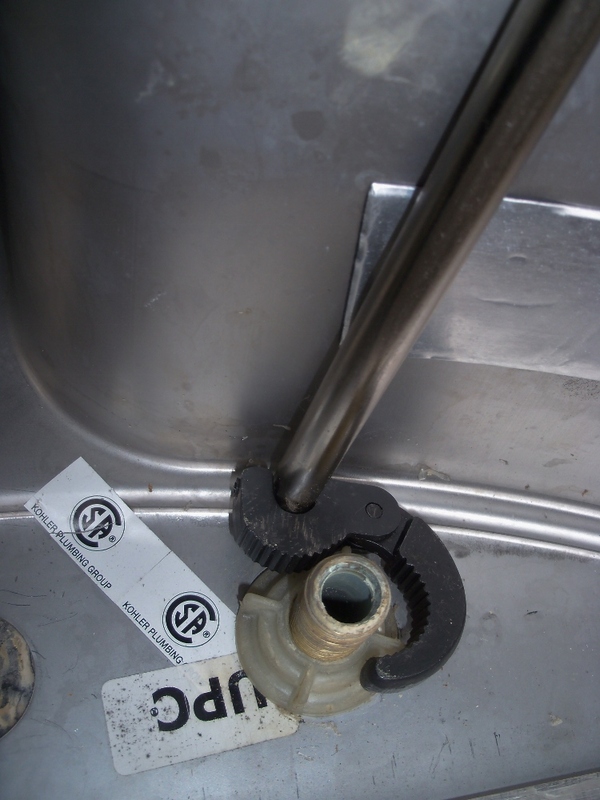 This is how the basin wrench will hook onto the nut. Once you have it on, you are able to loosen it enough to remove by hand or finish tightening it up. 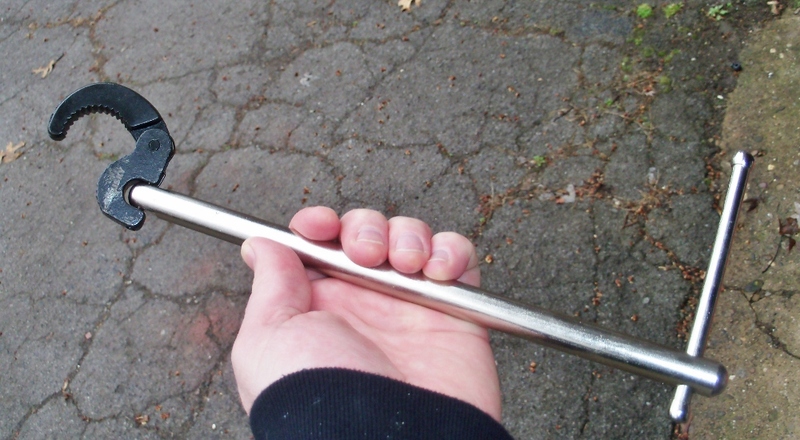 The head pivots to enable you to grip to tighten or loosen – an ambidextrous wrench. Glasses help keep falling debris out of your eyes and a headlamp will keep your work area well lit while keeping your hands free. It also has a slimming look to it. 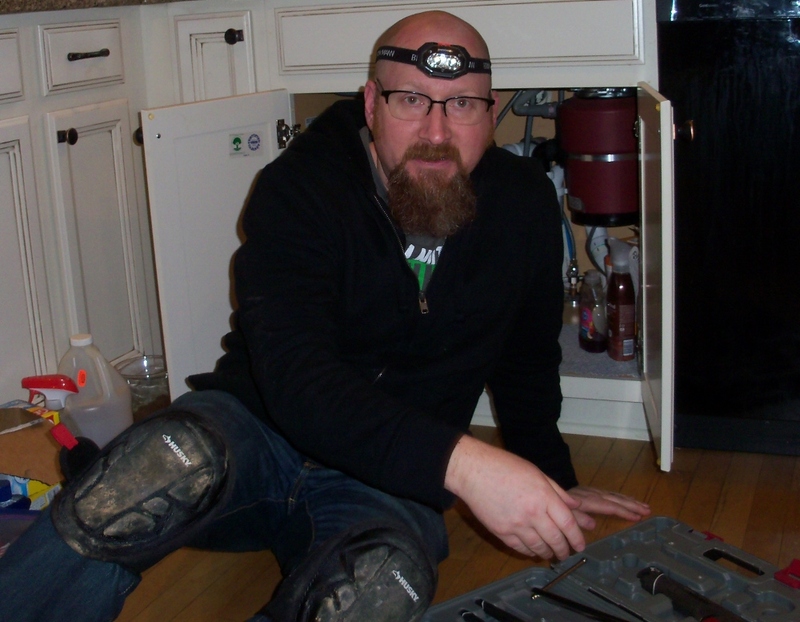 I was able to use the Husky 7-Piece Plumbers Tool Set as well as the Husky Soft Cap Gel Knee Pads, Husky 2-1/8 in. 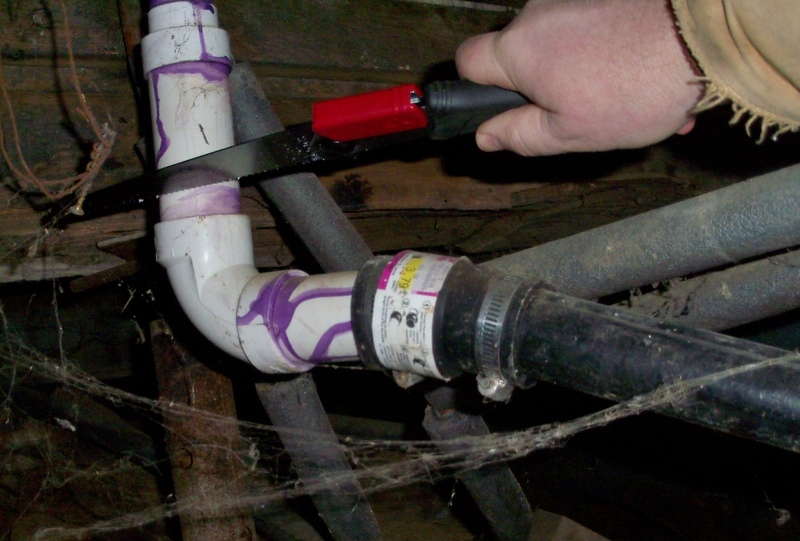 Quick-Release Tube Cutter and the Husky Wood Handle Sporting Knife to remove an awkward angle in a kitchen drain. 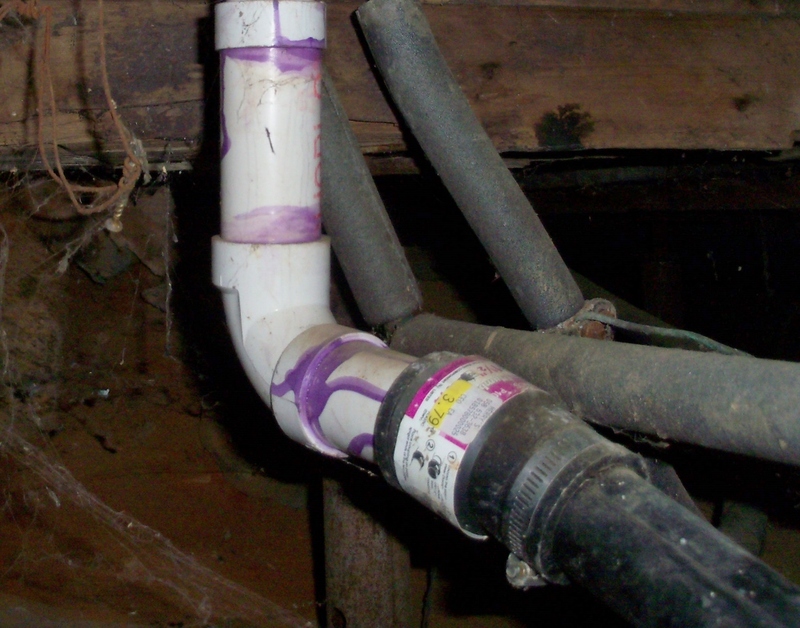 While I was under the kitchen I was also able to install some hanger wire to take the pressure off of the pipes that were under the sink. This was the entrance to my plumbing adventures. It looks a lot like a doggie door. These kept the snow and ice off of my previously exposed knees as I crawled through the snow into the opening. Here is the 90 degree bend followed by a hard kink and no straps for support. I cut through with the Husky Folding PVC Pipe Saw and cleaned the edges with the Husky sporting knife. 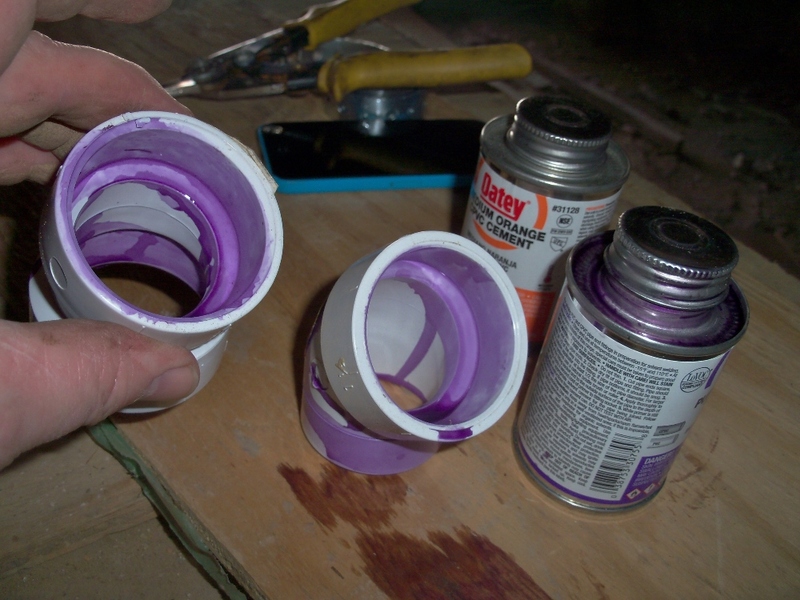 The purple primer makes it clear what you have primed before gluing. 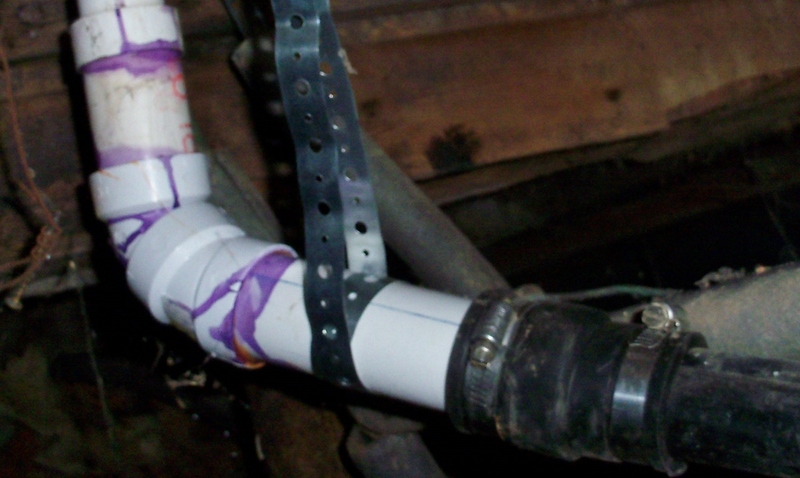 With an adjusted bend and the strapping holding the weight of the pipes, the sink trap pipe tension has been eliminated. I made it out with my supplies, happy knees and pocket knife securely clipped to my pocket. You can add other specialized tools as your projects and needs grow, but this handy kit covers many common plumbing tasks. 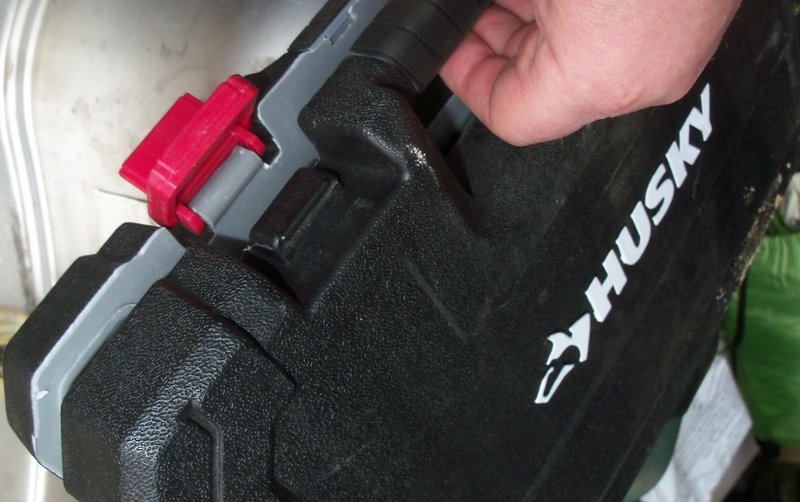 The Husky 7-Piece Plumbers Tool Set is a solid investment that will travel and serve you well. Secure your plumbing to-do’s with the Husky 7-Piece Plumbers Tool Set. Bob was raised in a DIY household - he later learned it was because they were economically disadvantaged (poor). 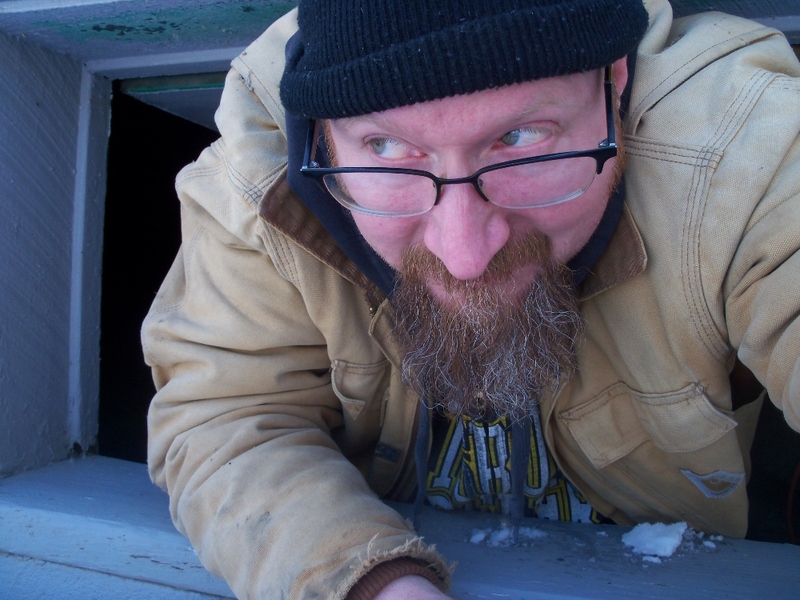 Bob has worked as a machinist, general contractor, landlord/handyman and most perilously as a high school math teacher. His strongest attribute? He has never been smart enough to be afraid.